The Reserve Club’s sweeping entry drive. The Reserve is a premier, private membership golf club, on 780 acres spanning across both Indian Wells and Palm Desert. The Club, sitting high above the desert floor, was originally conceived to blend harmoniously with its desert surroundings. Thousands of native shrubs and trees were salvaged and re-integrated back into the landscape once the development was completed. The natural palette of colors used in the architecture and the carefully designed fairways also provide continuity with the desert habitat. The end result is a serene, naturalistic backdrop for an active, vibrant community of 250 homes offering the highest quality golf lifestyle experience. The Reserve’s world class 21 hole golf course, is nestled amid the Santa Rosa Mountains, and flows across 200 acres of subtly changing elevations. The 18 hole golf course was designed by Tom Weiskopf and Jay Morrish, and additionally there is a 3 hole putting course. The Reserve Club Village, set amid the 1st and 9th holes, is an elegantly appointed Old World style enclave which encompasses the clubhouse with its indoor/outdoor dining opportunities, golf shop and state-of-the art fitness center. The Reserve’s understated, yet elegant front entrance sits just two miles away from El Paseo, Palm Desert very own “Rodeo Drive” . . . where the finest dining, shopping and entertainment available in the valley can be found. 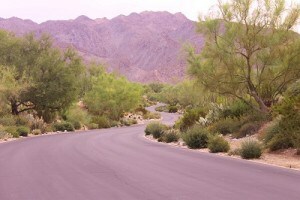 Interstate 10 is a mere 20 minute drive away, making travel to Los Angeles,Phoenix, etc. both easy and convenient. The Reserve offers a variety of residential types that vary in size and design features: Bungalows range from 2,500 to 3,000 sf, Casitas from 3,200 to 4,000 sf, Desert Villas from 4,400 to 5,500 sf and Custom homes from 5,000 to 14,000 sf. The Reserve is a community where “low density meets high livability”. Location: Portola Avenue south of El Paseo, just past the Living Desert on the left. Recent HOA: $874/month approx. to $950/mo. approx. Recent Home Values: low $1 millions to $20,000,000 approx. Golf Monthly Dues: $22,000 approx. annually. Additional Amenities: Golf Shop, high-tech fitness center, tennis, junior size Olympic pool, luxury spa, concierge service, private jet charter service, etc.